British telecoms giant Vodafone on Wednesday unveiled an 18.4-billion-euro deal to buy part of Liberty Global's operations that will make it Europe's largest cable and broadband operator. Vodafone—already the world's second biggest mobile phone operator by subscribers after China Mobile—would become the leading next generation network owner in Europe with a reach of 110 million homes and businesses, it added in a statement. "This transaction will create the first truly converged pan-European champion of competition," said Vodafone chief executive Vittorio Colao. The acquisition of Unitymedia in Germany would create a "national challenger", Vodafone said, throwing the gauntlet down to dominant player Deutsche Telekom. "The combination of Vodafone and Unitymedia's non-overlapping regional operations will establish a strong second national provider of digital infrastructure in the German market," it added. Colorado-based Liberty—which purchased Britain-based Virgin Media in 2013 for 17.2 billion euros—is controlled by US tycoon John Malone. After the deal's completion, Liberty will maintain a European presence in Belgium, Britain, Ireland, Poland, Slovakia and Switzerland. "Liberty is offloading businesses in Germany and eastern Europe... in a move that will enable Vodafone to become the big quad-play provider in the region," said Markets.com analyst Neil Wilson, referring to bundles sold to customers comprising fixed and mobile phone services along with broadband Internet and pay-television. "Deutsche Telekom shares dipped... as its hegemony looks to be threatened." 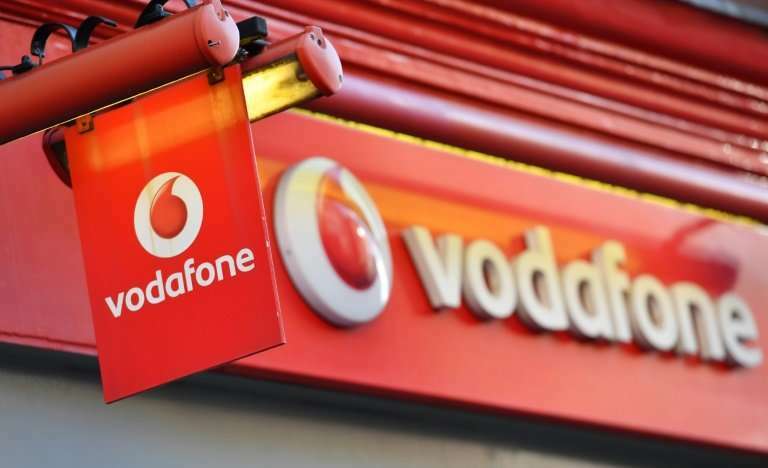 Vodafone's share price added 1.18 percent to 210 pence in London. Vodafone "has long been looking for something to make up for exiting fast-growing US joint venture Verizon Wireless", van Dulken told AFP. Wednesday's announcement is Vodafone's biggest purchase since 2000, when it bought Germany's Mannesmann for $180 billion in the world's biggest M&A deal.